I was born in southern Pennsylvania, moved to Arizona and California and then back to Pennsylvania over a period of 13 years. During this time, I saw different cultures, backgrounds, and health gurus and I knew taking better care of myself didn’t stop at eating healthier or having different workout regimens. 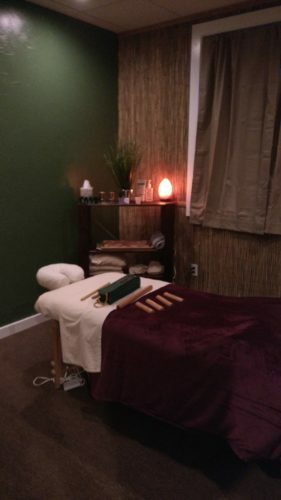 Massage really made me feel complete in my quest for caring for myself and allowed me to feel my best. I’ve always had an interest in massage and the benefits it carried. In fact, I would massage my own feet after a hard day’s work or my neck when it stiffened at times. Then I thought, I’ll just go get a professional massage and let them help me feel better. It really did make me feel better! The painful but feels good at the same time feeling was all worth it. From that point on I was addicted – haha. So, I decided to go back to school and get my certification in massage therapy. With the help of a very special teacher, Miss Bobbi Calvert, and great fellow students I graduated from Chambersburg beauty school in April 2017 and was licensed 8 months later. While in school, I learned that I wanted to be a business owner and provide my own services just the way I had received them as a client. 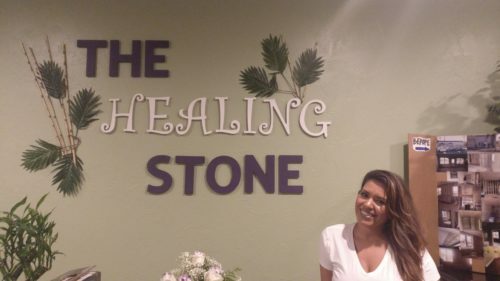 Throughout my studies I put together ideas, hard work, dedication and commitment to have my own place of serenity to share with others called The Healing Stone. What’s my ultimate goal? To help each person one massage at a time!